The Goodwood Festival of Speed is becoming a more attractive venue for unveiling new cars to the public as each year goes by. This year has also seen the Bentley Continental GT3-R and Jaguar F-Type Project 7, with Land Rover's Range Rover Sport SVR rumored to join the party tomorrow. The 650S GT3 is a natural progression of an already successful racer, but we have looked at all the different areas where we could possibly make even the slightest incremental improvement. The revised aerodynamic profile looks much more purposeful, and we have managed to incorporate increased levels of cooling without any detriment to performance. A big step forward has also been made in terms of servicing the car, which can be the difference between a race win and finishing off the podium, and the cost of running a car at a competitive level, and this becomes more important the longer and more demanding the event. By simplifying maintenance and repair processes, and cutting down the time and costs involved, the 650S GT3 will be even more competitive at the longer endurance events with time required in the pitlane reduced to a minimum. 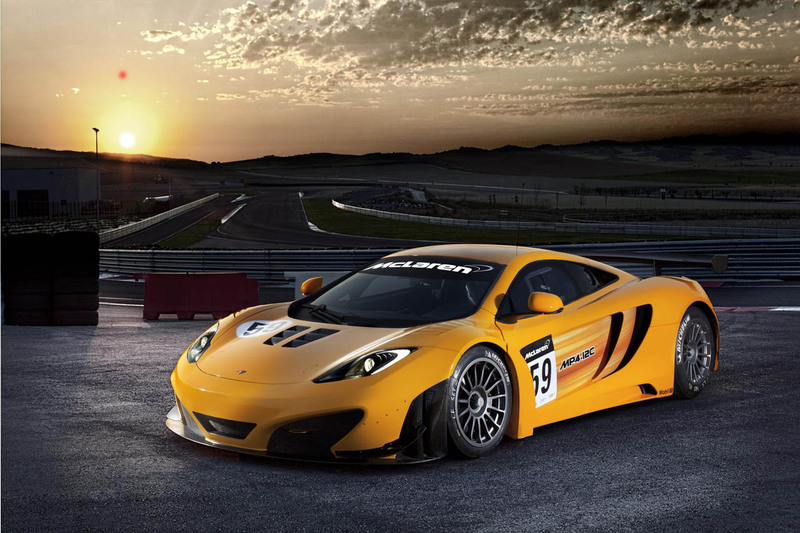 The 12C GT3 was the first iteration of a GT car from McLaren, and was, and still is competing and winning on a regular basis. The 650S GT3 is now our second generation model, and it is up against more established rivals, many of which are on to the third, or in some cases, fourth. Just as we face in the road car market. Despite this, McLaren is still the brand to beat. They aren't wrong to be fair, with 51 wins and 123 podiums, it's not like the MP4-12C GT3 is some tired old dog, but McLaren seem to constantly strive to improve. The 650S GT3 has been developed to receive a track that sits 52mm wider than the MP4-12C GT3's, revised braking and suspension systems, and a new six-speed sequential transmission. The aerodynamically-optimised bodywork is of course new - if you somehow missed that huge carbon fibre wing fixed to the rear of the car, it's time to get your eyes checked. The chassis and engine remain the same as in the 650S road car, with the highly praised 3.8-liter twin-turbo V8 putting out the FIA mandated 493hp output (yes, that's 148hp less than the road car) required to keep the competitors on a level playing field.